Panic averted! The check discs for Manga/Animatsu’s August releases arrived, and there were only two discs for Food Wars Season 2, as opposed to the three that comprised season 1. 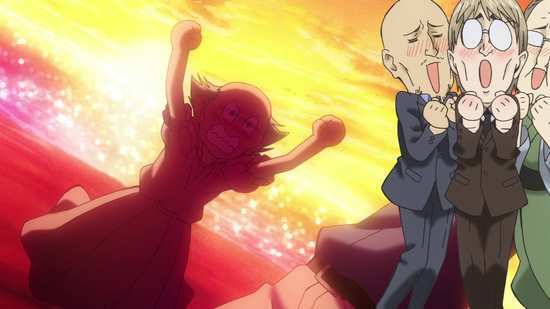 I took time out of ‘throwing a wobbly’ to check ANN and learned that Food Wars: The Second Plate comprises just 13 episodes; although it looks like the third season will go the full two cours. 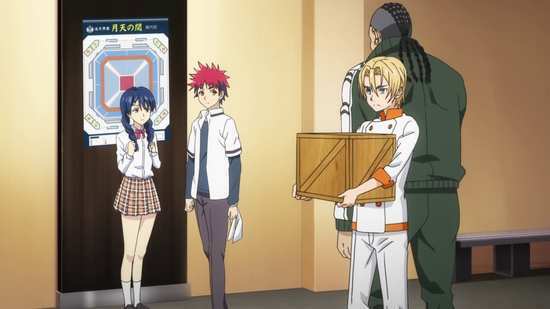 Food Wars was quite the surprise when I reviewed the first series last year, a shonen sports battle anime centred on the culinary arts, a hyper-testosterone Masterchef for want of a better description, and it was really quite delectable. My mouth has been watering all this time in anticipation of Season 2. 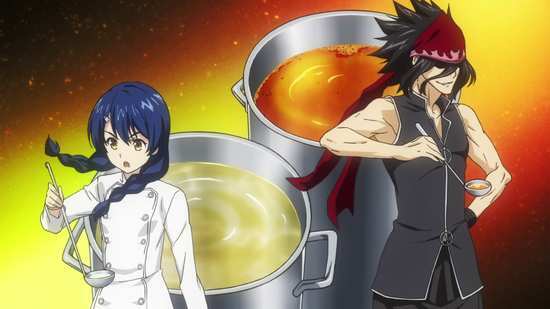 13 episodes of Season 2 of Food Wars are presented across two Blu-ray discs as follows, and as this season begins, the eight surviving contestants move on to the second round of the Fall Election. Food Wars gets the usual 1.78:1 widescreen 1080p transfer. It’s a fine transfer, clear and sharp throughout, with bright, consistent colours, and smooth animation. There are no visible signs of compression, and certainly no digital banding. 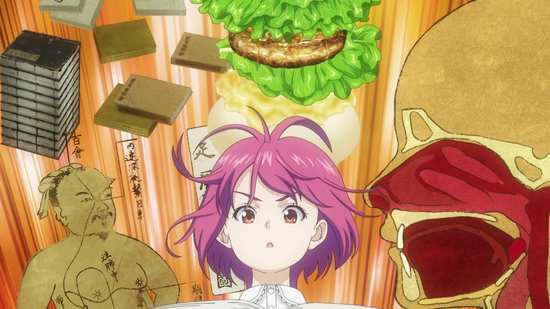 The characters are pretty standard for comedy anime, appealing and well designed, but the real effort has gone into the food. There are a whole variety of dishes on offer here, and I never thought that artistic representations of food could be as appetising as the real thing. Food Wars will make your mouth water. The big conceit comes in the taste tests, where visual similes are used to describe what is being sampled. The animation gets pretty imaginative (and naked) at this point. You have the usual Sentai options of DTS-HD MA 2.0 Stereo English and Japanese, with subtitles or signs locked to the appropriate track. I gave the English dub a quick try later on, and with an extremely monotone and uninterested Akira Hayama, my first and only impression is that this harks back to the bad old days of Sentai’s cheap and cheerful, ‘churn ‘em out quick’ dubs. Fortunately the Japanese audio is a lot more palatable, with actors suited well to their particular character archetypes. The show’s music is pretty impressive as well, getting suitably over-the-top when it comes to taste testing. The subtitles are accurately timed, but you might spot the odd typo. The discs present their content with static menus, and each episode is followed by a translated English credit reel. Disc 2 holds the extra features, which boil down to the textless credit sequences, 11 openings and 13 closing sequences. 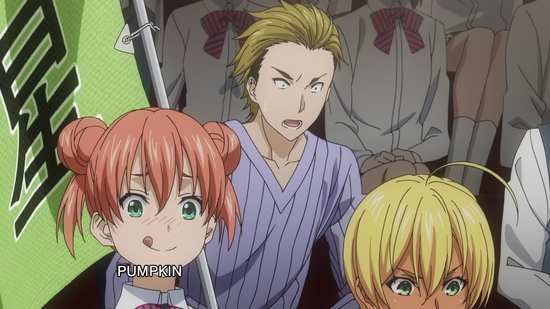 Really, this would have been better if it had been called Food Wars Season 1½, as it merely picks up where season 1 left off, in the middle of the Autumn or as this translation would have it, Fall Elections. The preliminaries had been completed, and as this collection of 13 episodes begins, the eight finalists take part in a knockout competition of Food Battles to see who the finest chef of the year is. The only negative point I had from the first season, the curry competition has been done and dusted (seriously, the Japanese interpretation of curry makes me feel a little nauseous), and in this season they’ll be serving up culinary delights with which I have no prior experience, and can salivate at in comfort. 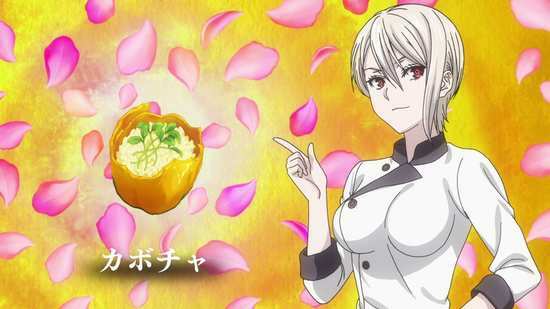 I probably mentioned this in the previous review, but Food Wars is a classic shonen battle tournament anime, albeit one set in the kitchen. The characters are just as colourful, just as larger than life as your average Naruto or Bleach villain or hero, and the grandstanding and posturing during any ‘battle’, the ‘special moves’ and the colour commentary from the battle judges will tick all the tropes if you’re a fan of the genre. And the aim of the game is to produce a dish so good that the judges will involuntarily disrobe at the taste explosion. It’s all so clichéd and predictable, but it’s using the ingredient of cookery instead of combat that makes Food Wars still feel so fresh and original. It’s also very well put together in terms of its writing and its characters, the animation is at the high end for its genre, and it really is fun to watch. 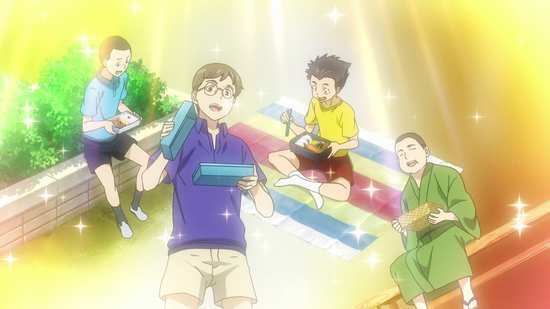 The tournament concludes in this collection of episodes, and as always, the stakes are high for protagonist Yukihiro Soma, who has promised his father that he won’t lose until they do battle again in the kitchen. That means winning the Fall Election. We’ve come to the knockout stage of the battle, just eight contenders, and seven contests to go, and none of them involves curry. 10 episodes of this collection are devoted to those one on one battles, and predictably they get harder towards the final. 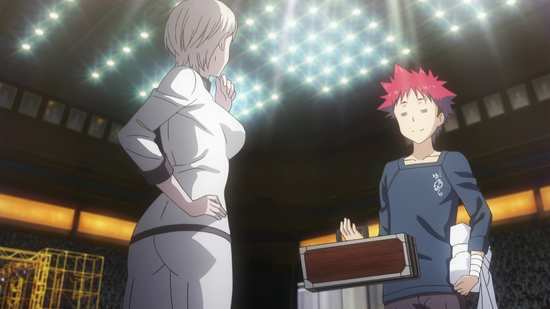 Soma has to keep innovating and surpassing himself just to stay in touch, with a particularly tough challenge from a boy named Subaru Mimasaka, who has a flawless victory record by being absolutely sneaky. He spies on his opponent, finds out what they intend to cook, then he copies the recipe and tweaks it to make it slightly better. He’s particularly infuriating and slimy, the kind of guy you want taken down a peg, only Soma uses the battle to rekindle Mimasaka’s love of cooking as well. Actually, while most of the dishes looked absolutely delish in this collection, I must admit I did have a ‘curry’ moment in one episode. I doubt I’ll be ordering up softshell tortoise burger anytime soon. 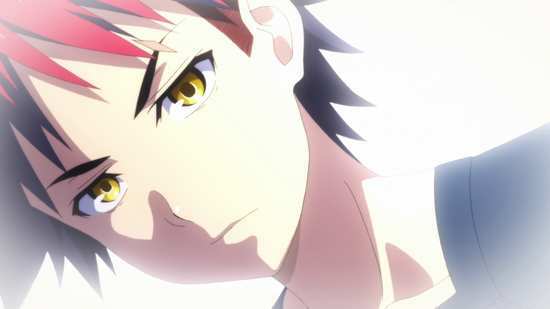 Anyway, I won’t spoil the result of the tournament other than to say that Soma survives to face another chance at expulsion in the final three episodes. It’s time for the Stagiare, or as we would call it, work experience. The Tohtsuki first year students have to go out into the wide world and do some real work, maintaining the high standards of their school, and make a positive and permanent contribution to the restaurants they intern at. 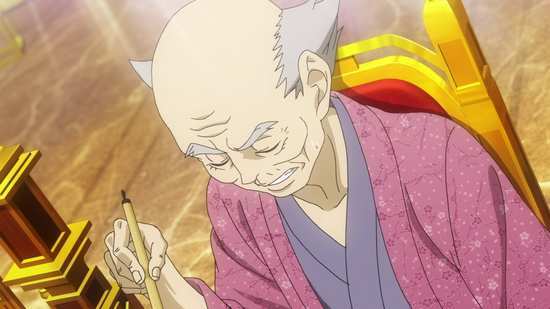 The first restaurant is a challenge enough, but the second restaurant Soma has to work at means working for a foe he encountered in the first season. It’s a steep learning curve. 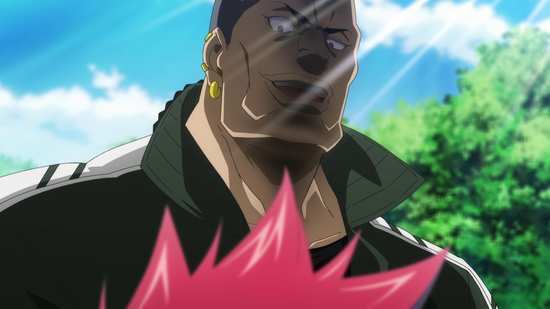 A new season would imply a new story arc, or new direction for the characters, but Season 2 of Food Wars really just picks up where season 1 left off, a straight continuation. That isn’t a bad thing, as season 1 was really quite good, and this collection builds on what that established, develops the characters further, and really refines and makes better what the first season did so well to begin with. Still, with this season ending with something of a soft underline, I’d say that Season 3, if and when it does arrive, will indeed offer something a little different, something new.